17th of May is the National Day of beautiful Norway. I love kransekake it is my favorite cookie, this recipe is inherited from my aunt in Norway and she inherited from her sister, it has been in the family forever. It is a little different the way you make these than my other recipe because this one is made the old fashion way, by using a nut grater to get grounded almonds, the result is more chewy and crunchy almond cookies, also for this recipe, you need to let the dough rest overnight. 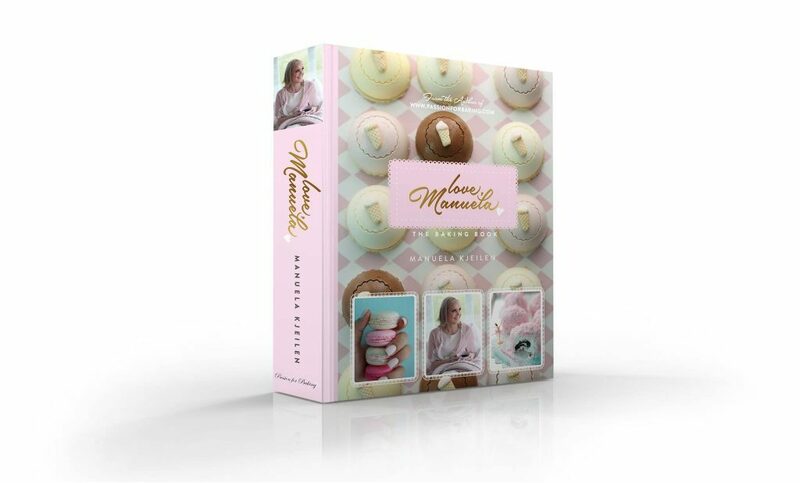 The next day I use my cookie attachment on my mixer and outcomes rolls of this delicious cookie dough and I just fill the kransekake molds and bake it. Sounds simple right, watch the video below to see how to make these cookies. You will need finely ground almonds I use whole almonds with the skin on. I use a nut grater attachment on my mixer to make finely ground almonds do not use a food processor or your cookies will spread. In a bowl, add the finely ground almonds and confectioners’ sugar, and combine, use your hands to make sure it is all combined. add the egg whites and vanilla bean paste, and work the dough until dough comes together. Put the dough in a container and put it in the refrigerator for at least 12 hours. 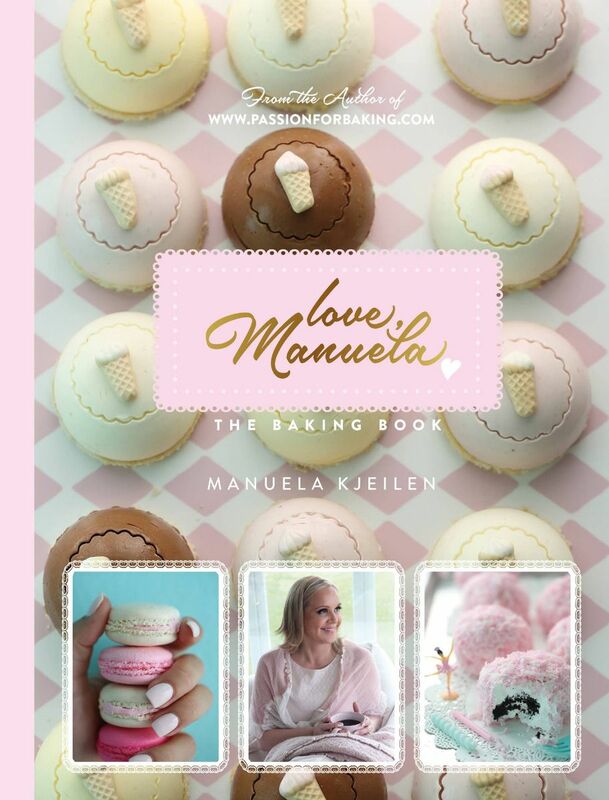 You will need kransekake molds for this recipe (available from cookware specialist or online). There are six molds; each is comprised of three rings, giving you a total of 18 rings. 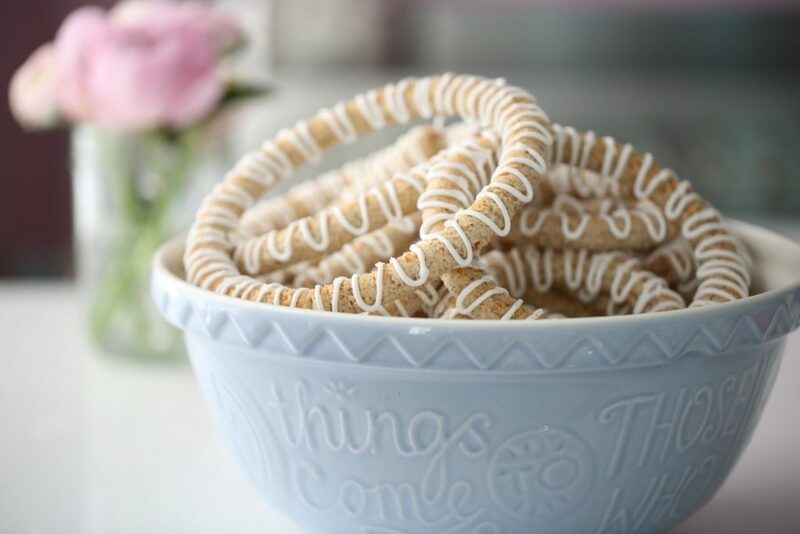 Brush the rings with non-stick baking spray. Dust with a little semolina or flour, shaking out the excess. Roll out the dough into finger-thick rolls and place in the molds. Press dough gently together at the seams to create an even ring. Place molds on baking sheets, and bake a few at a time on the middle oven rack for about 10-14 minutes or until light golden brown. Do not overbake; if you do they will not have a chewy center. Let cool completely in molds. 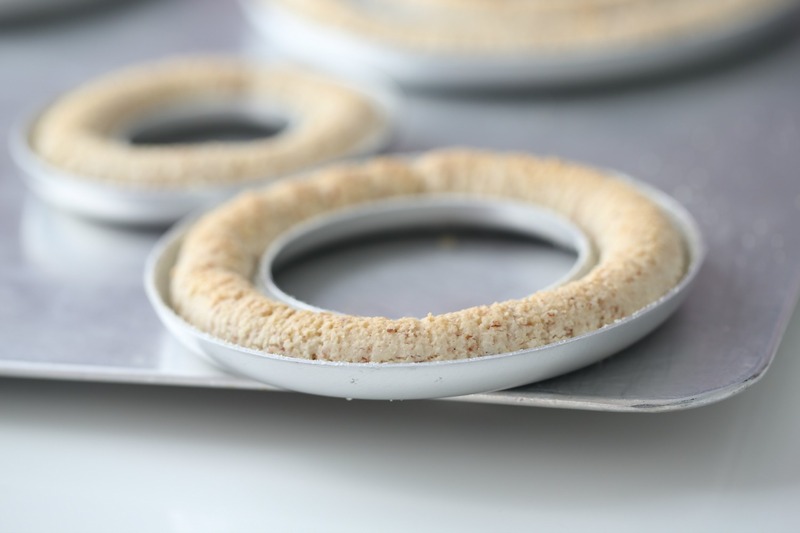 Once cooled, release the baked rings by gently knocking the molds against the work surface. Combine the confectioners’ sugar, egg white, and vanilla bean paste to make a nice and delicious frosting that will serve as “glue” for the rings. Organize the rings by size. 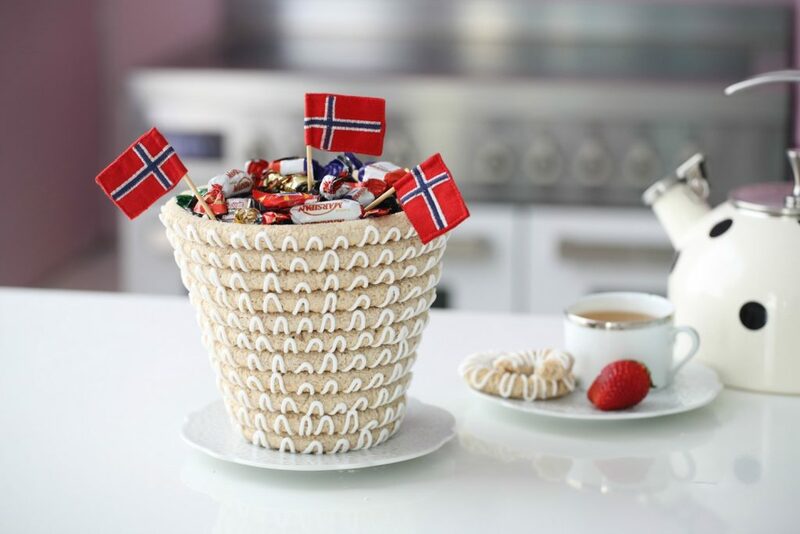 In Norway, we often use little Norwegian flags to decorate. 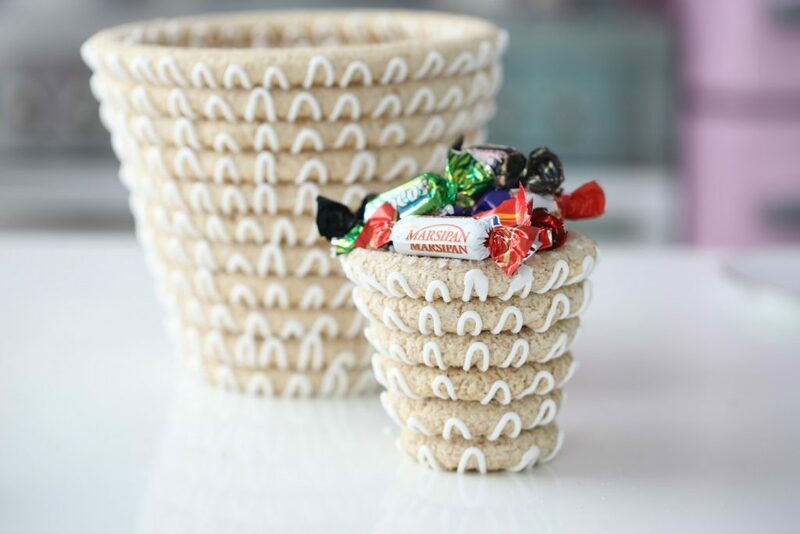 You can also turn half of the cookie tower upside down and place candy in the basket and fill the top with the small cookies. 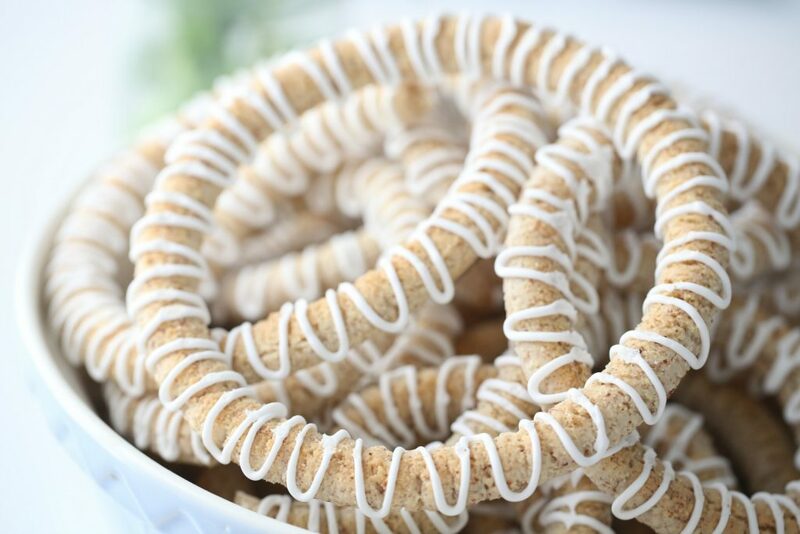 BTW; If you find making a kransekake tower too intimidating, just put the rings in a large bowl and just enjoy these delicious cookies. And if they by any change break, just enjoy the cookies piece by piece! I’m from Germany, any idea where to get the molds international or any other way to get the nicely round shaped? Such a lovely kransekake! Love the flag picks too! Any idea if they can be purchased on line? Hello! what diameter I have to roll the dough to be sure that all it makes 18 rings? thanks!!! This recipe is amazing!! My Norwegian in-laws couldn’t stop eating it and they said it was the best kransekake they had ever had!